I will not attempt to do a full season preview. For that you can go to RandomC or Star Crossed Anime Blog. I simply do not have the skill or time to write something worth reading. I have, however, a few series that I'm really REALLY looking forward to, so I'm writing this post to share some of the stuff that might have otherwise been overlooked. What is it? 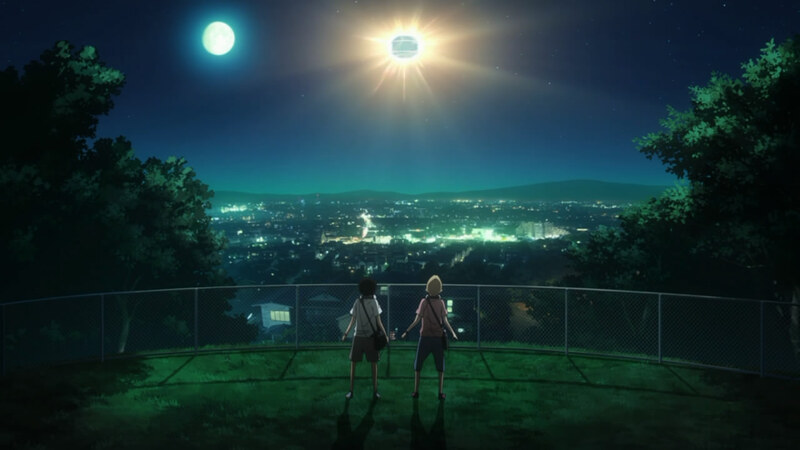 Adapted from an award-winning manga, the story tells of 2 brothers vowing to one day become astronauts. Why am I excited for it? This is one of those shows that I can't really explain why it has caught my interest. The story sounds interesting and inspiring, while the art and character designs look quite good. I just have a good feeling about this... and it helps that A-1 Pictures is handling production. What is it? An adaptation of a dark and brutal manga. Why am I excited for it? It's an dark action series! I've been looking for some good action shounen/seinen anime for some time now and this might fight the bill. Missed out on Cassern Sins last time, so I'll try to catch this. What is it? The story of a student council that has a suggestion box where students can submit requests at any time and Medaka (the student council president) will see it through. Why am I excited for it? Written by Nisio Isin. Animated by Gainax. Granted Gainax doesn't do good adaptations (their best works are always the original stuff), I'm still interested in this collaboration. What is it? The most popular girl in school becomes a zombie. Why am I excited for it? It's a popular manga with really good art, and I've wanted to read it for quite a while, so this is a good chance to see what its all about. What is it? Adaptation of a 4-koma manga of high school students. Sounds familiar? Why am I excited for it? I need some good, simple, cute, comedy EVERY SINGLE SEASON. It makes it easier to digest the heavier series. As long as it doesn't become too boring, it should do fine and satisfy my needs. What is it? Slice of life series following a group of middle school girls. Why am I excited for it? Sunrise animating a slice-of-life? SPHERE voicing the main characters? Sounds interesting... Sign me up! What is it? Adapted from an award-winning light novel, this sci-fi series is about a boy who gains the power (through a software) to slow down time in the real-world. Why am I excited for it? It looks like a sci-fi epic! I like the aesthetics, though I hate the main character's design... But it's animated by Sunrise! What is it? Fate/Zero 2nd Season. Why am I excited for it? Fate/Zero 2nd season! lol. Looking forward to seeing how ufotable made use of that one season break to bring this up to the next level. What is it? High school students bonding over their love for jazz music. Why am I excited for it? This brings back the Watanabe Shinichiro and Kanno Yoko combo, the two most important people responsible for the now classic anime, Cowboy Bebop. That, along with the promise of some of BECK's charms, makes this the most anticipated anime this season for me! What is it? Fantastical slice of life about a bunch of high school boys, with an ecological bent. Why am I excited for it? Nakamura Kenji, director of Mononoke and Kuuchuu Buranko. Uki Atsuya, mangaka, illustrator, designer, animator, and director of Cencoroll. With this and Sakamichi no Apollon, the Noitamina timeslot is going back to what it does best, and probably making this the BEST EVER SEASON for them. What is it? A mystery anime (based on a light novel) about a bunch of high school students in the literary club. Why am I excited for it? Kyoto Animation! From the trailer, this show looks and sounds really awesome! I'm only worried about the choice of director... but the studio as a whole should be able to help uphold the traditional awesomeness of a KyoAni production. What is it? AKB48 anime. Why am I excited for it? Good director, and quite a good animation studio. I'm intrigued to see if this does well and helps propel some of the AKB48 girls (especially Mayuyu!) into the seiyuu world. This season is shaping up to be quite good, after the intense disappointment of the last season. The only problem is that there seems to be a weird lack of good slice of life and romantic comedies recently. Anyway, after the miserable 5 posts I did last season, I've decided to pick up at least 1 series for episodic blogging. I'll decide on whether to commit to blogging a series after I've watched at least 3 episodes. Those series will be listed at the top of this blog, just below the banner. Also, I should be doing a slight redesign soon. Nothing major, just shifting stuff around, and replacing the banner. Blog viewership has dropped drastically over the last month, so I hope some of these changes and most blogging would turn things around. Be sure to continue supporting TVM! yoroshiku onegaishimasu!